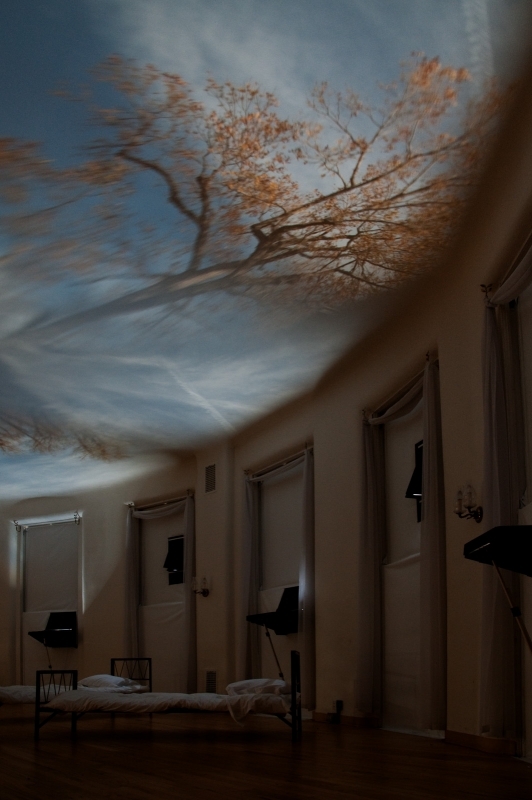 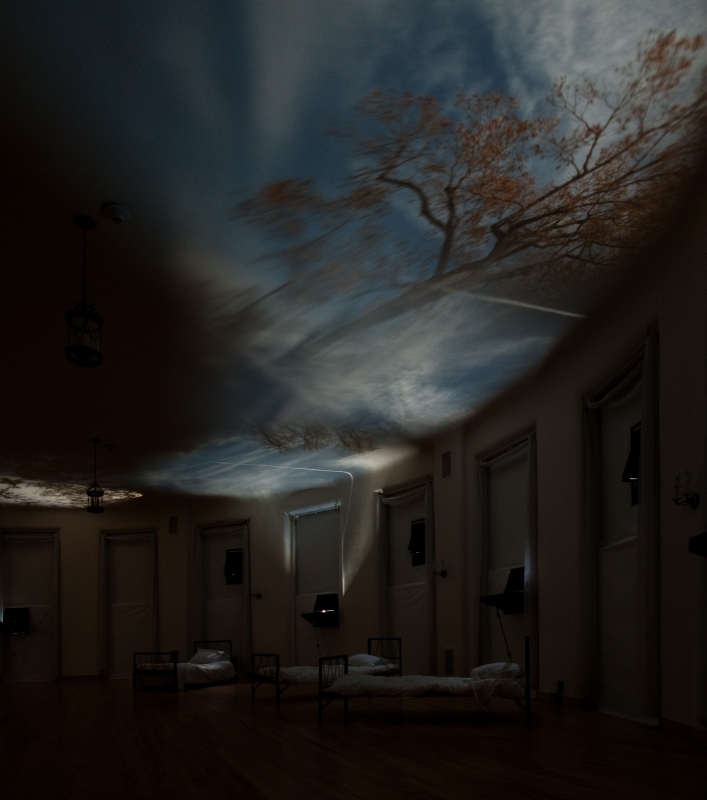 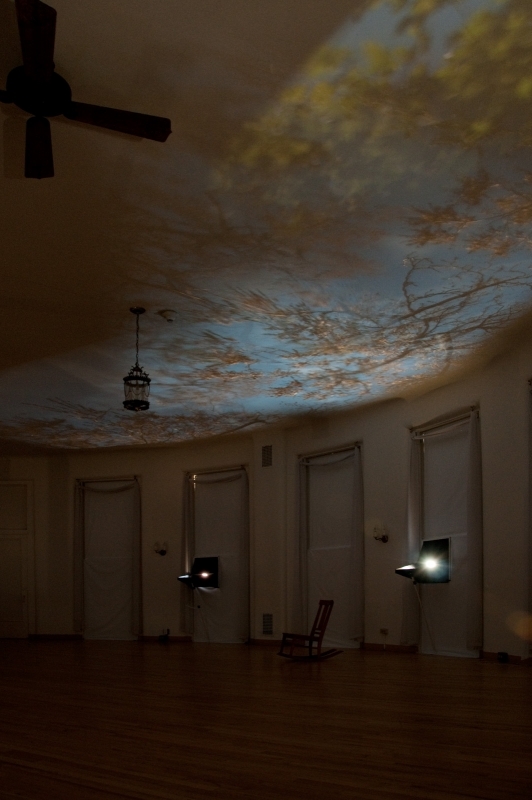 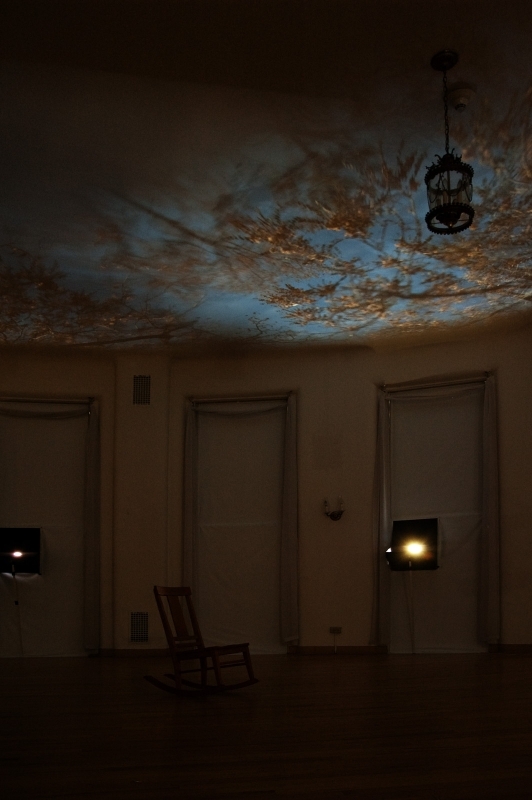 This installation in architectural optics filled the ceiling of a large, round, formal room with a 360 degree panorama of changing foliage, tree branches, and sky. 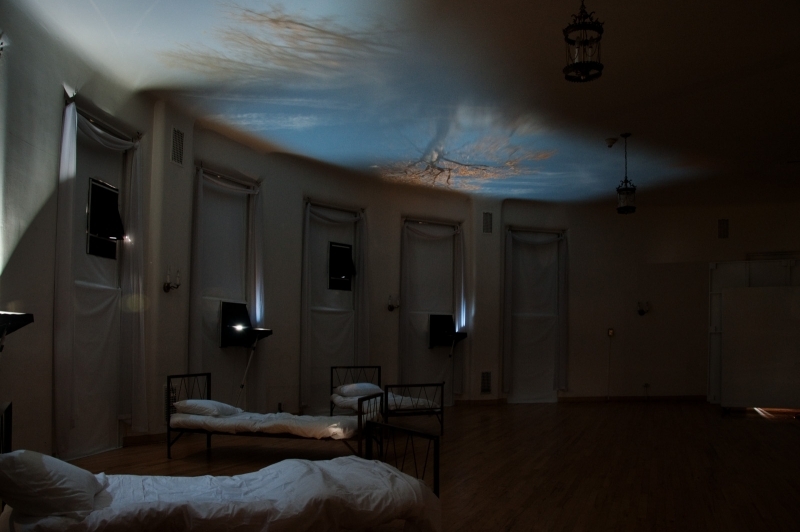 The former sanatorium sunrooms was darkened and adapted to a huge multi-aperture camera obscura where viewers could spend time allowing their senses to adapt to subtle, continually changing imagery. 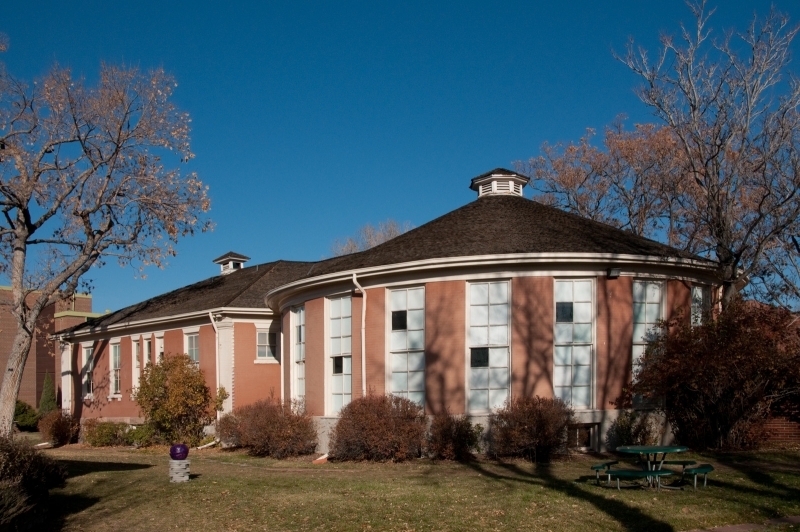 The Jewish Consumptives Relief Society near Denver was a major sanatorium in the early 20th century. 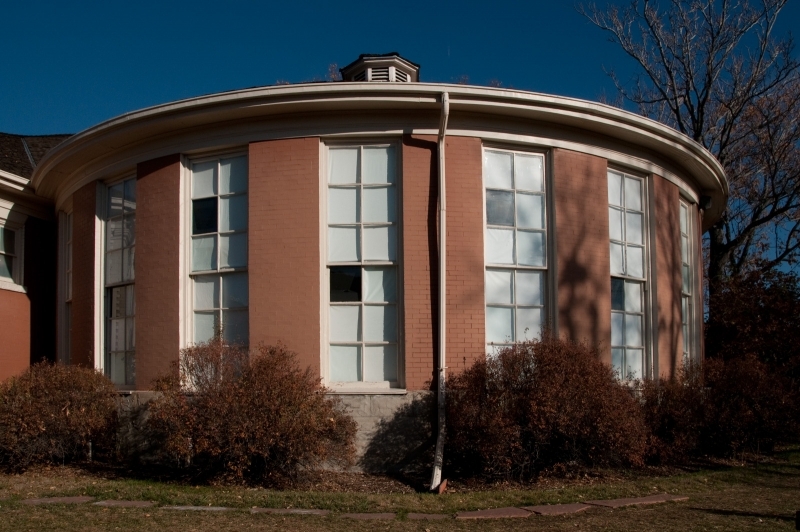 It’s campus later became a medical research facility, and now serves the Rocky Mountain School of Art and Design. 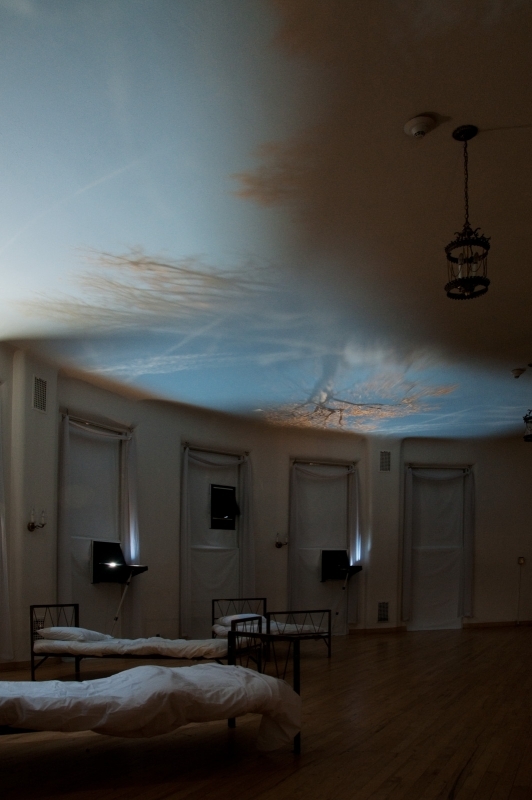 This work adapted the large circular rotunda, originally used as a year-round sun-room for terminal patients, into a memorial and reflection space. 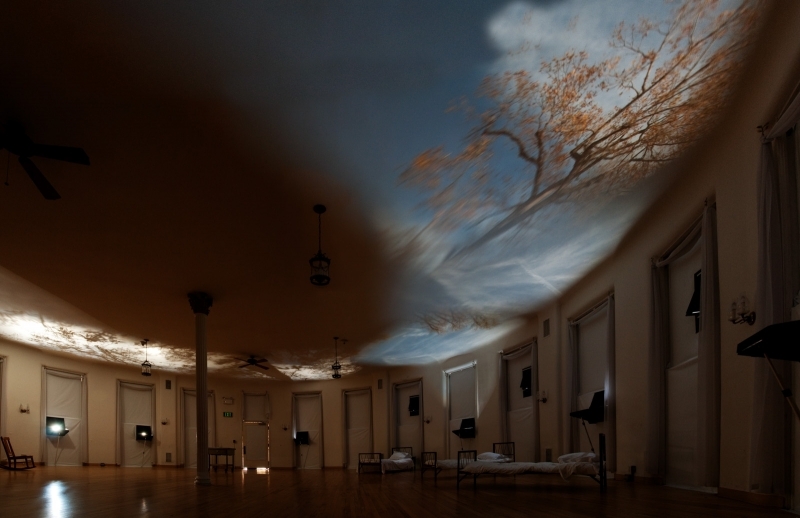 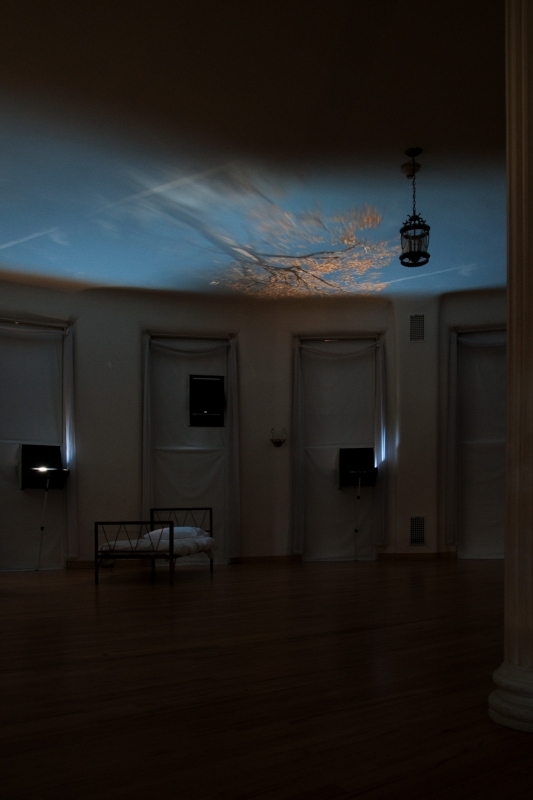 Images of the sky and treetops filled the ceiling while hospital beds and wheelchairs offered both a reminder of the rooms’ history and a comfortable place for viewers to absorb themselves in contemplation and experience the effects of light and illusion.